Lovely day today! 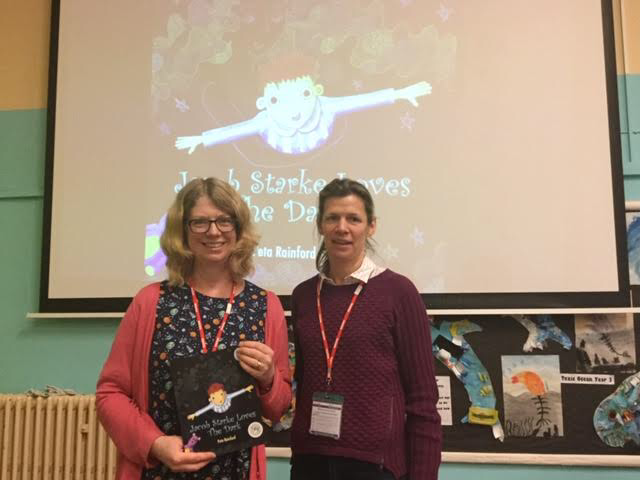 Thanks to the Campaign to Protect Rural England (CPRE), I got to share my dark skies rhyming picture book, Jacob Starke Loves The Dark, with the very receptive and super-polite year 3 and 4 children at Nine Acres Community Primary School. ‘How come?’ I hear you ask. 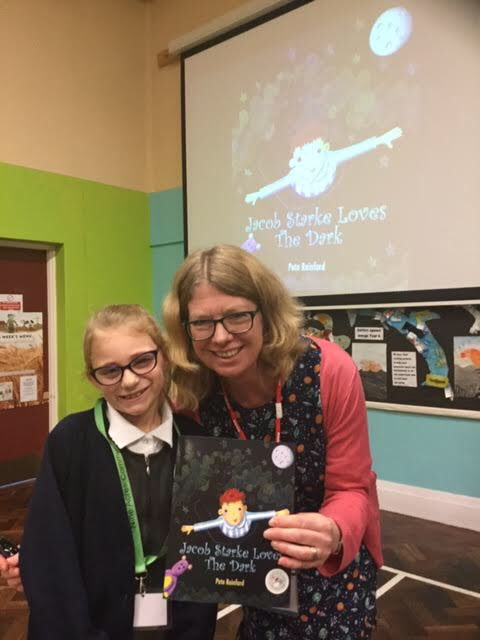 Well, at the end of last year, the CPRE very kindly bought 42 copies of my Jacob Starke Loves The Dark and gave one as a Christmas present to every primary school on the Isle of Wight. My visit today was part of that initiative; the first visit to a primary school with the CPRE, highlighting the importance of dark skies and the issue of light pollution. 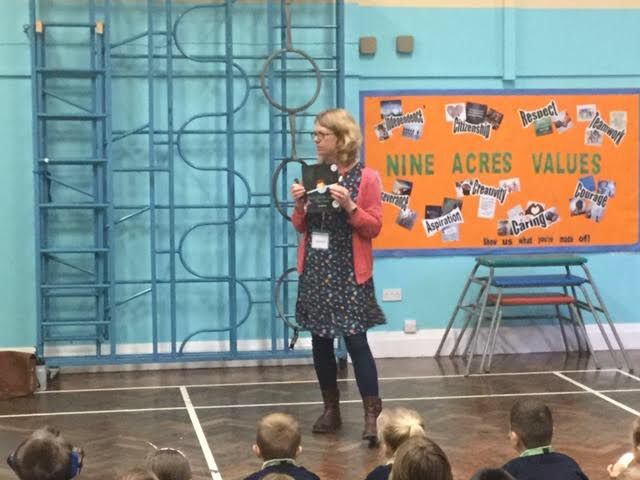 So pleased with the reception from the Nine Acres children (nothing like a spontaneous round of applause to raise the spirits!) – and particularly pleased by their plans to explore the book’s themes in more detail in their story sessions which now close each school day. 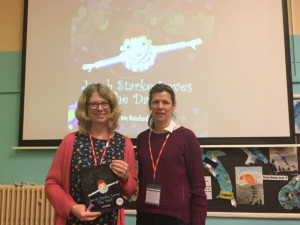 I was inspired to write Jacob Starke Loves the Dark by the work of groups such as CPRE, Vectis Astronomical Society (VAS) and the Area of Outstanding Natural Beauty (AONB) to win International Dark Sky status for an area on the south west coast of the Isle of Wight, near where I live. 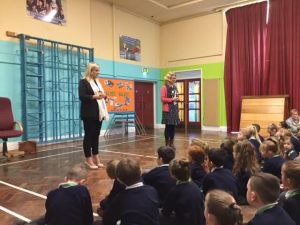 So it’s exciting to be working with them to take the message about the dangers of light pollution into local schools. 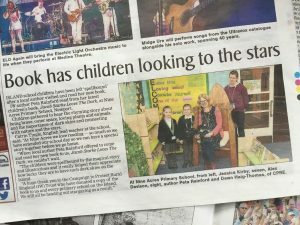 Pleased to see the initiative has also been covered by the Isle of Wight County Press. This entry was posted in Peta on January 9, 2019 by admin. I have fallen into an accidental pattern of working over the last few years: I have published a book in October or November, spent the remainder of the year promoting it, and then started the new year with a new project. But 2018 has been slightly different. 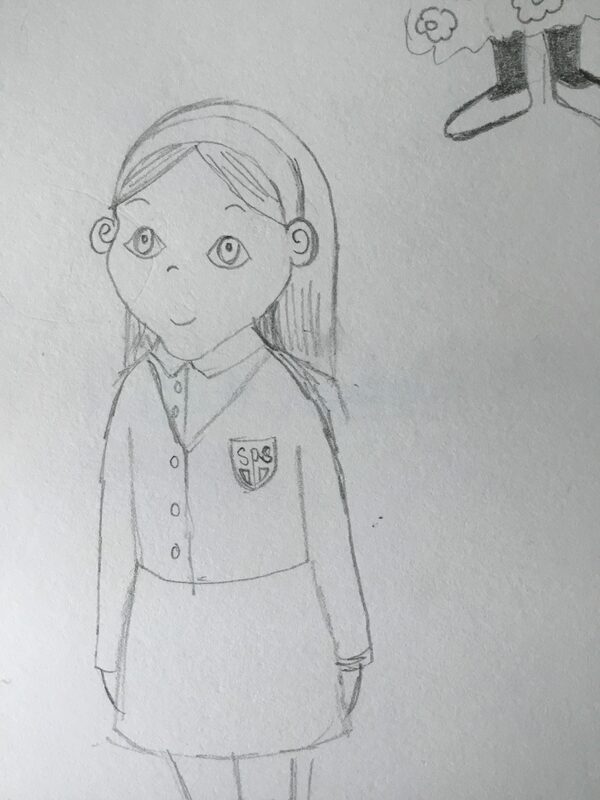 Perhaps because I published my latest rhyming picture book – Jacob Starke Loves The Dark – a few weeks early, in September, but I am coming to the end of the year having already written an 800 word rhyming text for my next book and started the sketches for the main characters. There’s even a chance I will have mapped out some of the pages before Christmas lunch hits the table. Which is all very un-me. Having been a journalist for many, many years (yes, I know, my looks belie my great age), I can’t usually do so much as put my socks on in the morning without a deadline (even a self-imposed one). But I have to say, I am liking the feel of being ‘ahead of the game’ – especially as I have a second story I want to start in the new year. In fact, I hope to work on the two books simultaneously. 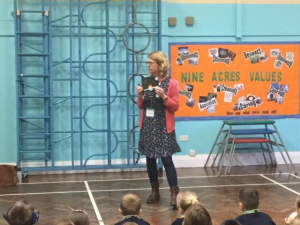 It’s not something I’ve done before, but when I took part in the author’s panel at the Isle of Wight Literacy Festival Youth Zone in October, I heard from the other authors that this is a way that many of them prefer to work. I can see the potential benefits. When I work on writing and illustrations at the same time, the two things feed off each other. I am hoping that developing two stories simultaneously will have similar benefits. This entry was posted in Peta on December 20, 2018 by admin. Hurrah! Just in time for Christmas, my new on-line shop is open! Yippee! And I’m offering 10% off everything for the next 10 days! This means, if you live in the UK, you can buy my books, book bags and T-shirts direct from me. All books come signed – and you can request a personal dedication too! Please, come on in and take a look. This entry was posted in Peta on December 6, 2018 by admin. 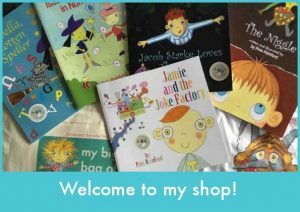 ‘Just buy it’ advises Linda’s Book Blog! 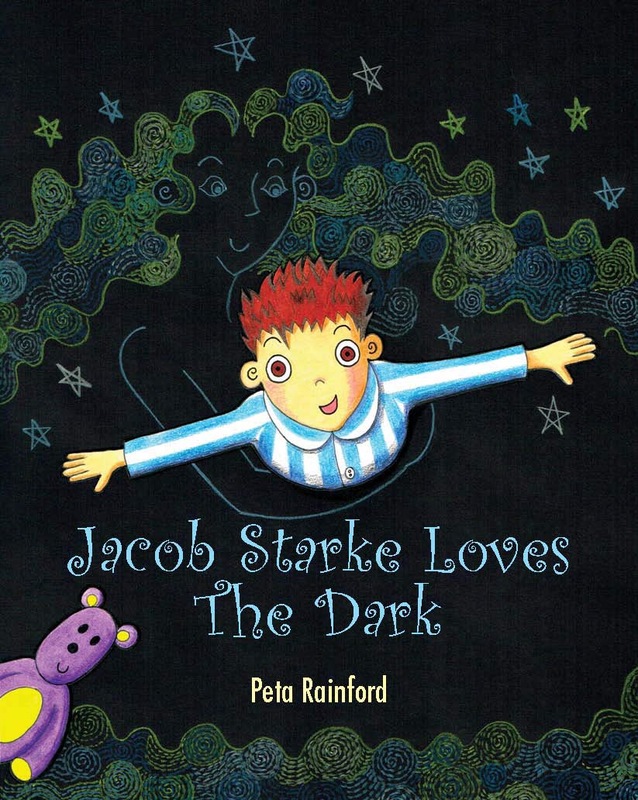 If you would like to follow Linda’s advice, you can buy Jacob Starke Loves the Dark here. This entry was posted in Peta on November 20, 2018 by admin. It’s so exciting to be reminded that words and pictures created in my tiny office on the Isle of Wight can be read and appreciated by people living thousands of miles away. Ms. Peta Rainford’s stories and illustrations captivated her imagination. I appreciate Ms. Rainford’s gift in distilling the world of children through her characters and at the same time making her tales appealing to grown-ups reading the books. Anyhow, please extend Malaya’s and my appreciation of Ms. Rainford’s work! We thoroughly enjoyed it. If you are a far-flung reader, please get in touch – I’d love to hear from you! This entry was posted in Peta on November 16, 2018 by admin. Jacob Starke’s in National Parks! Nothing like a rhyming headline to perk me up in the morning – especially when it heralds the good news that a number of National Parks – Brecon Beacons, Exmoor and North York Moors – are now stocking my new rhyming picture book, Jacob Starke Loves the Dark in their shops. Woo hoo! The reason for this, of course, is that Jacob Starke Loves the Dark is all about the dangers of light pollution and the importance of Dark Skies, and the National Parks that are stocking my book are all known for their exceptionally beautiful Dark Skies. Exmoor National Park (where I lived for a number of years, and once walked into a hedge when trying to get home from my next door neighbour’s house at night without a torch, so I know how dark it is) and Brecon Beacons National Park are both designated as International Dark Sky Reserves, which means they have an exceptional quality of starry nights and a nocturnal environment that is specifically protected for its scientific, natural, educational, cultural, heritage and/or public enjoyment. North York Moors National Park has Dark Skies Discovery Sites at Danby and Sutton Bank National Park Centres plus Scarborough & Ryedale Astronomical Society Observatories in Dalby Forest. 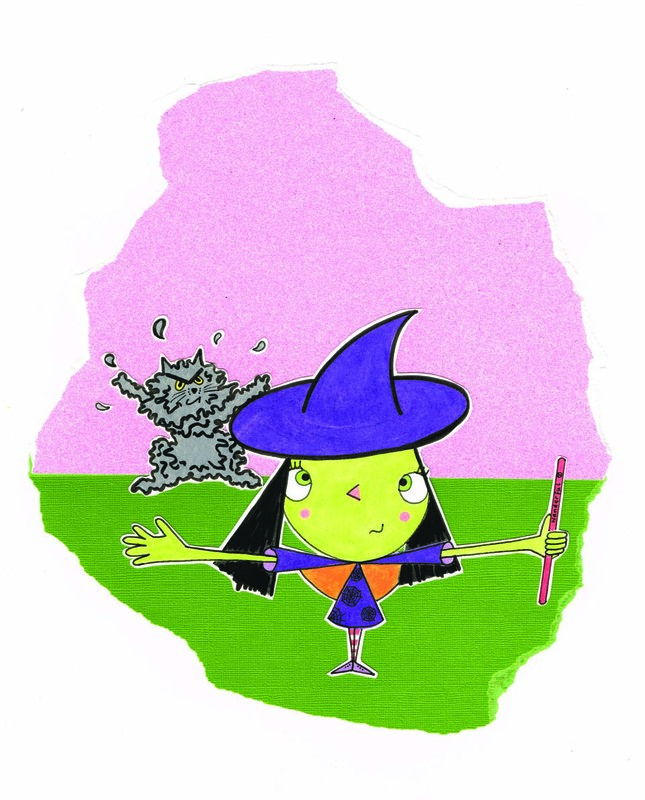 So exciting to think that my book might encourage children to look at the stars from our National Parks. This entry was posted in Peta on November 15, 2018 by admin. Hope you like this charming video review of Jacob Starke Loves The Dark and Nonni’s Moon, by Julia Inserro and Lucy Smith. This entry was posted in Peta on November 2, 2018 by admin. 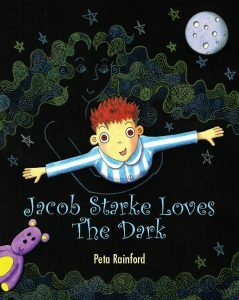 I have been so thrilled by the lovely Amazon reviews I’ve received for Jacob Starke Loves The Dark so far. After months and months of working on a book all alone, it’s such a relief when you finally publish and find that people not only ‘get’ but actually love it! Jacob is afraid of the dark. Every night he goes into all the rooms in his home and switches on the lights. He even wears a light on his head to bed. One night the lights all go out, including the one on his head. He is in total darkness, that’s when the night shows him it is nothing to be scared of and why the dark is important as much as the light. The book is just beautiful, both the rhyming words and the illustrations. It is exceptionally engaging and I’m sure that children will not only enjoy a fab story they will also learn a lot too about what the dark does and why nature needs it. For any child that is afraid of the dark, this book is a must. It will reassure them in a relaxing manner and make them understand that there is nothing to fear. Coming back to the illustrations, these have been drawn with so much love and care. I especially love the night scenes with their black backgrounds and colours that really stand out. This book is truly wonderful. 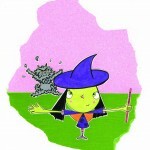 It has short sentences and as it rhymes, young children who are just learning to read will find this easy to follow. It would work perfectly as a bedtime read to ease those woes about the dark. 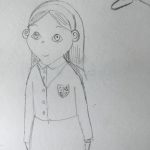 A story about a common childhood fear – the dark, with a real message. The tale is told alongside some really beautiful illustrations. My 3 and 7 year old boys loved it straight away. Highly recommended!! My 7-year-old has recently started complaining about a ‘fear’ of the dark. Frustrating, when it’s not a long-standing problem. We’ve talked about what dark is, what dark is useful for, why there’s nothing to be frightened of. Sometimes though, it takes another child’s similar experience to encourage and reassure. He read this himself and enjoyed it, and we discussed it. Jacob, the protagonist, is terrified of what might be in the dark. He is made to see the use of darkness, what needs it to survive, what would happen if we didn’t have dark. It reminded me of Jill Tomlinson’s ‘The Owl who was Afraid of the Dark’, but for a younger audience. 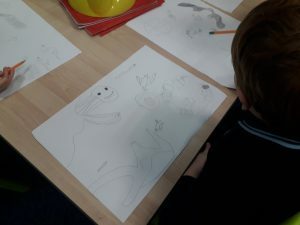 I appreciated the approach, the examples used, and really enjoyed the rhythm and natural-feeling rhymes. The examples are relevant and interesting to the target market (planets, animals), and I really liked the full-illustrated look of the book, with the text integrated inside the scenes. Could be very useful for parents/teachers/educators needing to address this topic with children. Suitable for toddlers and older and gives opportunities to discuss natural history and nocturnal sleep patterns, astronomy, plants and seasons. 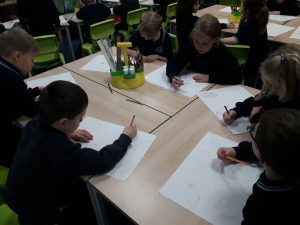 For ages 3 and above, would continue to have a place in KS1 classes. 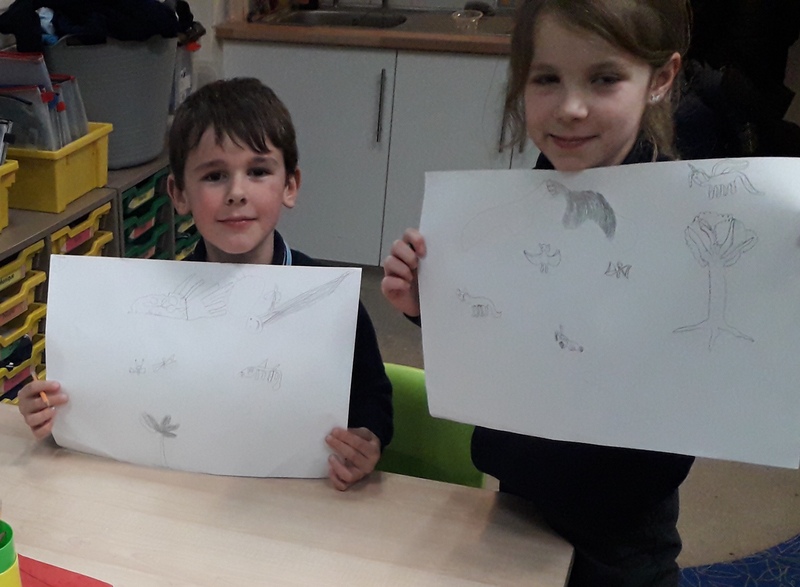 Loved the drawing style, especially the delicate and serene depiction of The Dark contrasting with Jacob and light. This book should help lots of children overcome their fears. When I was a child I used to be terrified of things under the bed at night (still am sometimes even though I’m grown-up now). This would have helped me I’m sure. I love looking at the night sky now and wish I’d started looking at it sooner. And we do need councils to cut the amount of light pollution in our cities so our children can see the riches above us: the red glow of Mars, tracking satellites and the ISS as well as the stars and constellations which change position with the seasons.